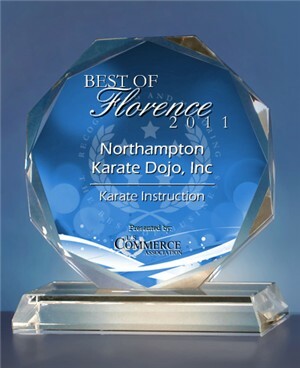 Northampton Karate offers adult, youth, and children's martial arts classes with an emphasis on the authenticity and traditions of Okinawan Matsubayashi Shorin-Ryu style karate. 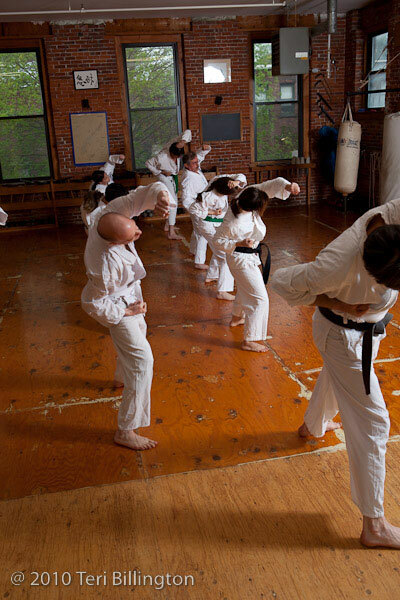 As the premier martial arts Dojo in the Pioneer Valley for over 24 years, our self defense training focuses on precise technique through karate basics, martial arts katas (series of moves), and self defense kumite (fighting). The classes are structured to encourage confidence, intention and discipline in your training in a respectful and courteous atmosphere. The instructors are experienced in working with all skill levels, ages, and athletic abilities. Our adult, youth and our children's martial arts curriculums are designed to be enjoyable and challenging. They are structured to provide members with the opportunity to continue to learn and improve their self defense and karate skills for a lifetime. There is a simplicity to our practice that makes it different from a lot of what we normally encounter in our busy, modern schedules. 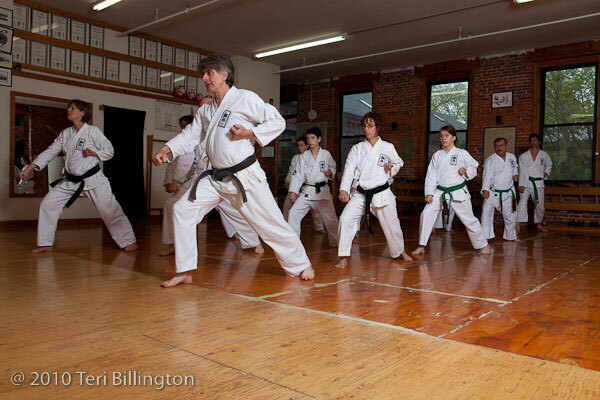 If you're looking to learn a new skill, build endurance, or enrich your life through self defense training, Northampton Karate is the right place to start. Observe a class, ask questions, take the next step. Feel free to read our FAQ's. Just as martial arts was practiced in the gardens and on the beaches of Okinawa over the centuries, we achieve profound results without relying on machines, special equipment, or encumberances. While we do have a beautiful traditional space where we meet and train, once you get started with karate you don’t need any special time or place to train: just your body and mind and the desire to create the life and martial arts practice that you want. 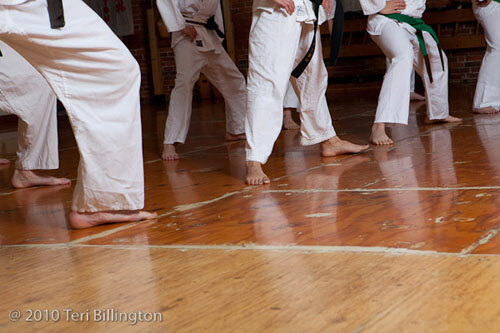 Our karate style “Shorin Ryu” is the Okinawan variant of Shaolin White Crane Kung Fu, as practiced in FuJian, China. Bringing together insights from authentic Asian martial arts, from practical professional experience, and from contemporary athletics and science, our karate practice is characterized by its simplicity and profundity. Anyone who wants to learn this genuine martial art can learn. 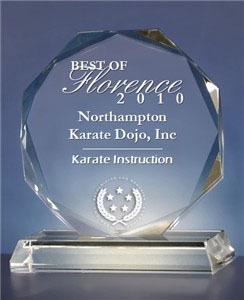 As a new member of Northampton Karate you will see that your karate training will help you do better in everything you do. With sincere and consistent practice you can literally get stronger, more flexible and more skillful every day of your life. There is no need to wait a long time before you start to see results. You will feel healthier, more focused and more balanced within a few weeks of getting started. At first it is important to take things step by step and not feel that you have to do everything at once. Nothing that you are doing in class should hurt. If you do get sore muscles after your first class, let your instructor know, so that he or she can help you continue to train -- while letting those muscles rest and recover. You will see that there are lots of high points in your karate training. You will be able to do things that you never thought you could. But there will also be some challenges, both physical and mental. By sticking with it and seeing your way through these challenges you inevitably become stronger. Everything we do in the Dojo has a purpose. Nothing is arbitrary. Everything is designed to help you make the most efficient use of your time to become as strong, flexible, balanced and focused as possible. 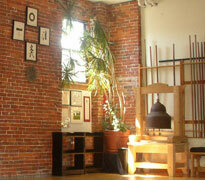 The Dojo is set up so that you can enjoy your training and do well. To get the most out of life -- at work, at home, at school, in personal life, in athletics -- It is best to be healthy, confident, good-hearted and strong. As the old saying from Lao Tzu goes: ‘a journey of ten thousand miles begins with a single step.